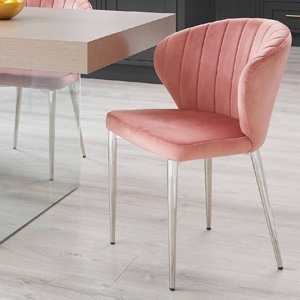 The Elise Dining Chair is one of our best sellers and if you choose to have this gorgeous seat in your home, you'll understand why! 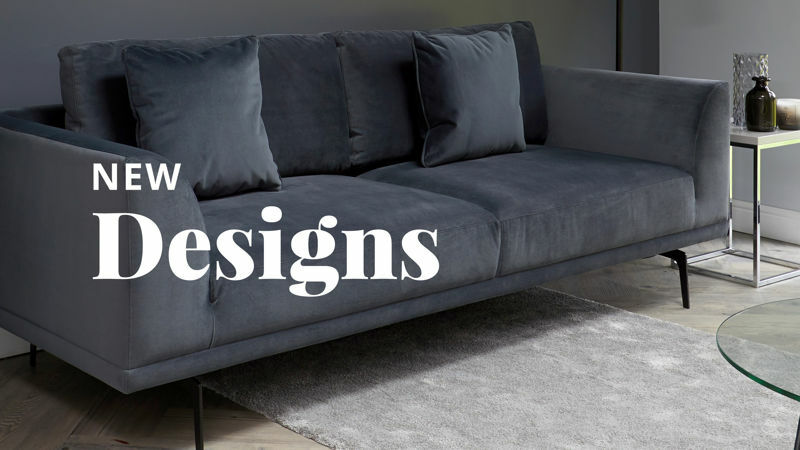 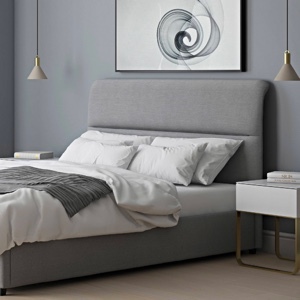 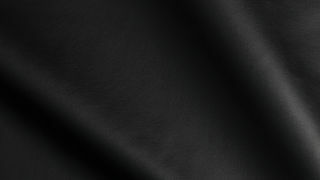 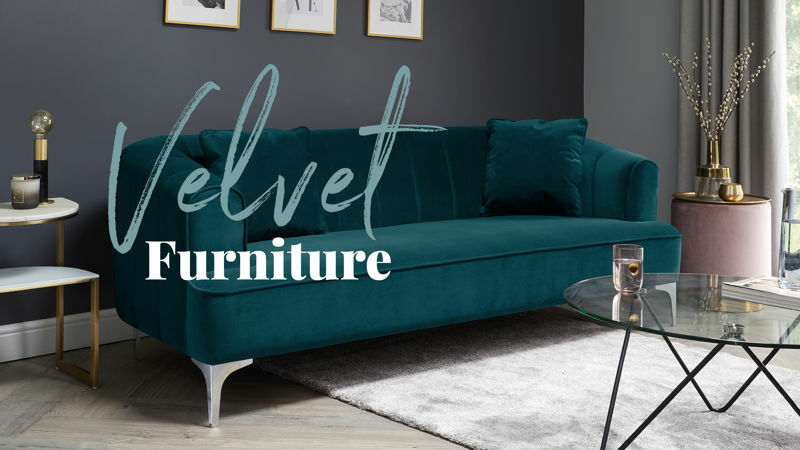 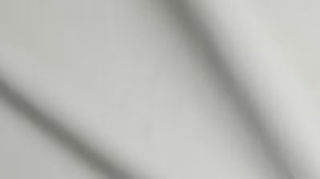 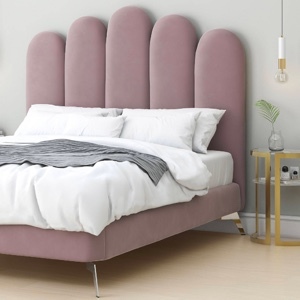  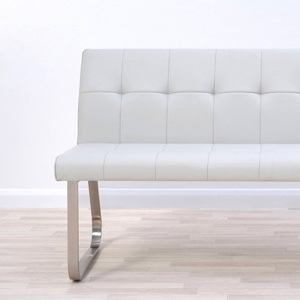 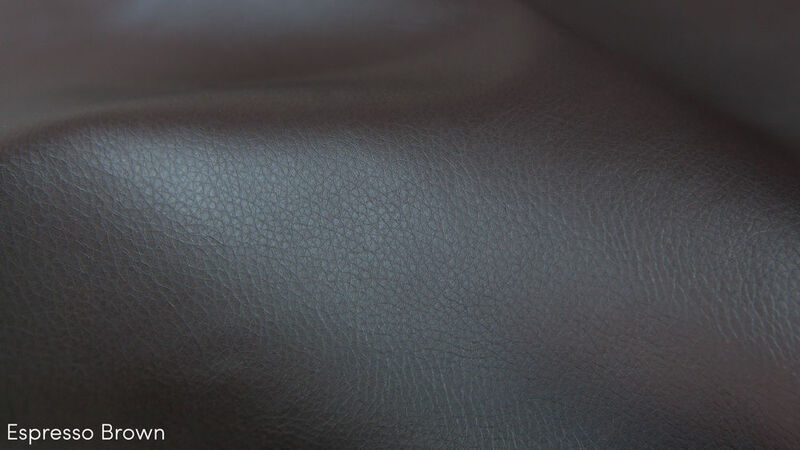 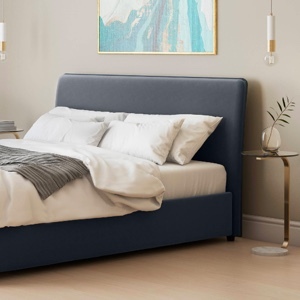 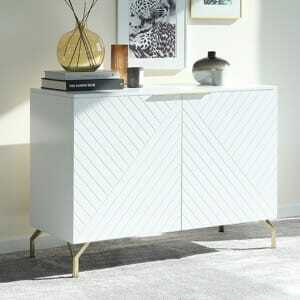 Its elegantly shaped seat and slim legs, combined with a soft faux leather covering gives you the look and feel of modern, designer luxury without the high price tag. 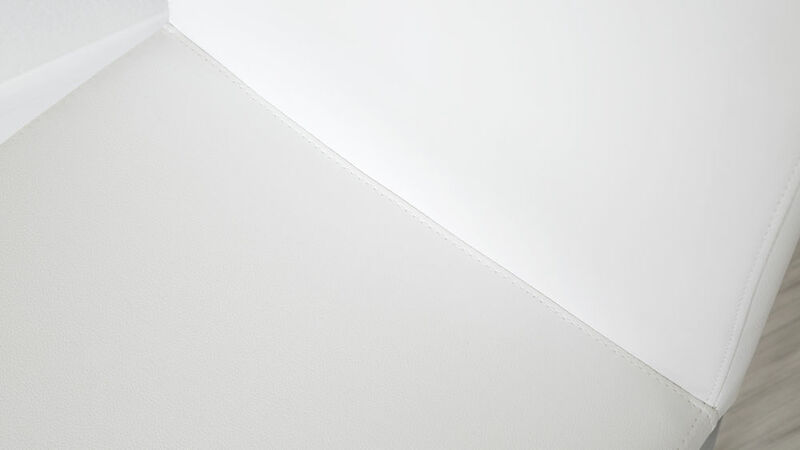 The depth from the front of the seat to the backrest is 43cm and the total depth is 57cm. 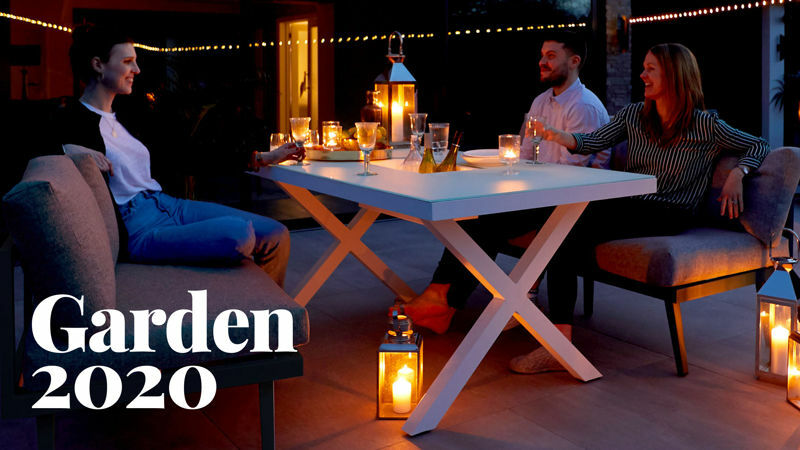 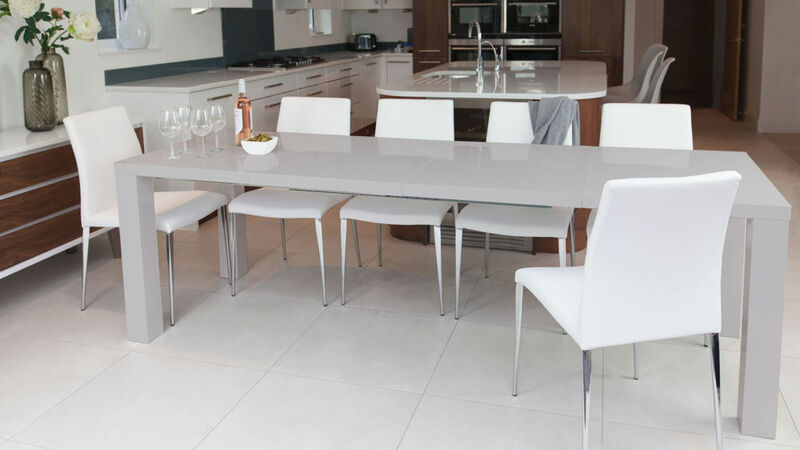 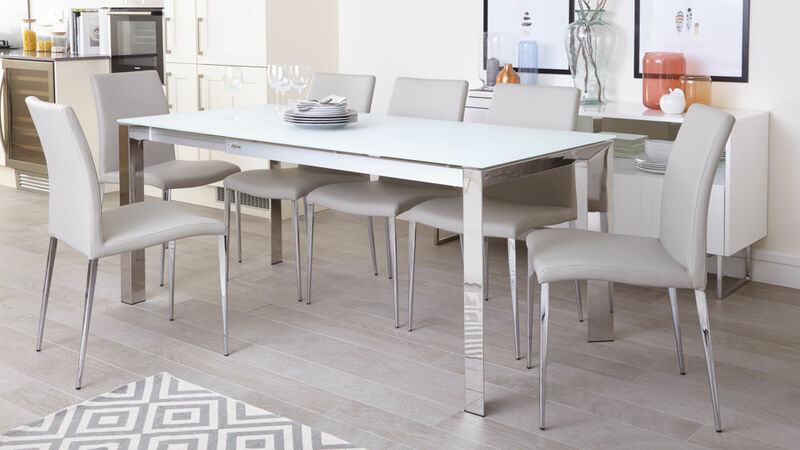 This allows you to place a number of the Elise chairs around a dining table, with enough room to comfortably seat your family, friends and dinner guests. 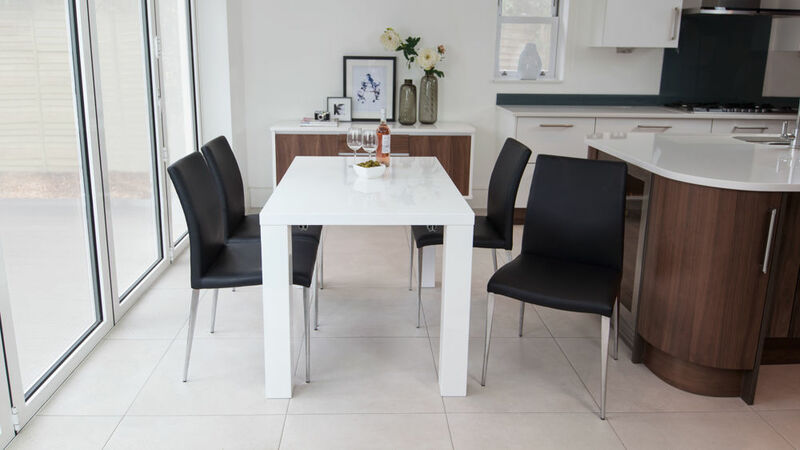 Upholstered in hardwearing and luxurious faux leather, the Elise Dining Chair is available in a choice of 8 colours - classic black, trendy cream, rich brown, latte beige, poppy red, ruby red, putty grey or modern white. 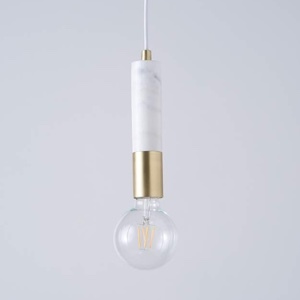 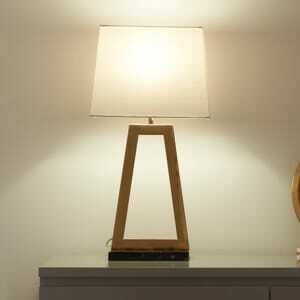 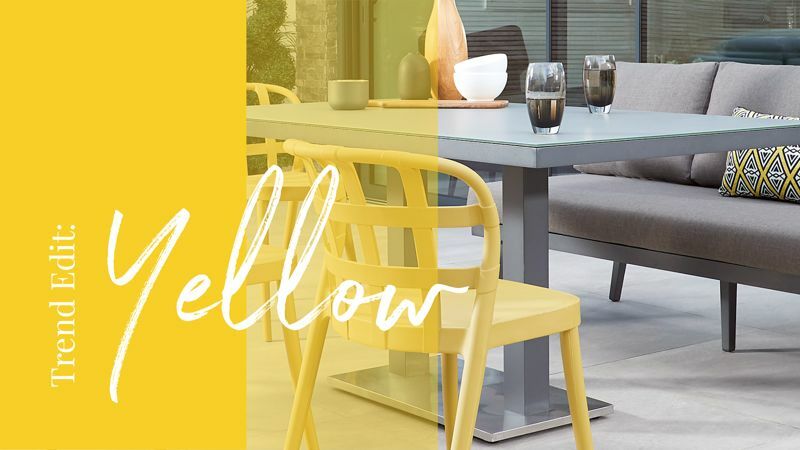 This wide colour selection makes it even easier for you choose a colour option that's right for you and your home. 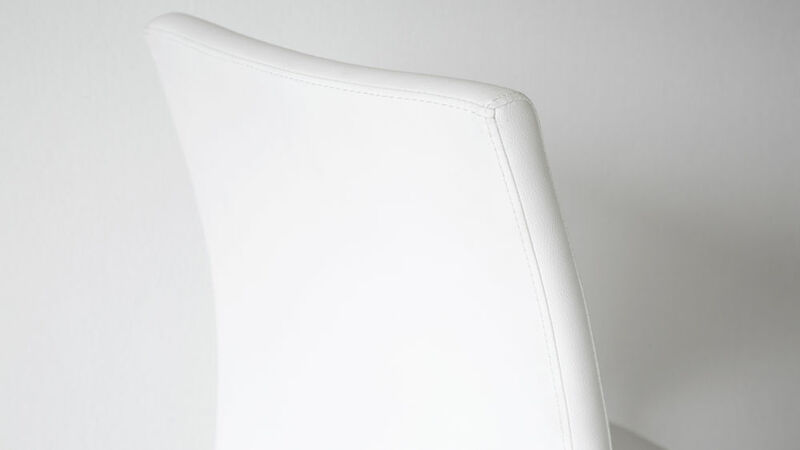 The gentle curve in the back of the Elise chair is a stylish design feature that also gives the right amount of back support when seated. 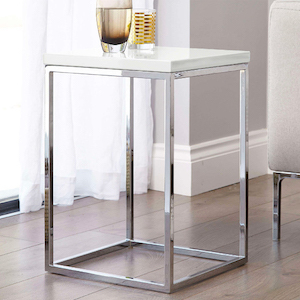 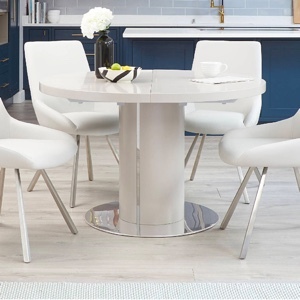 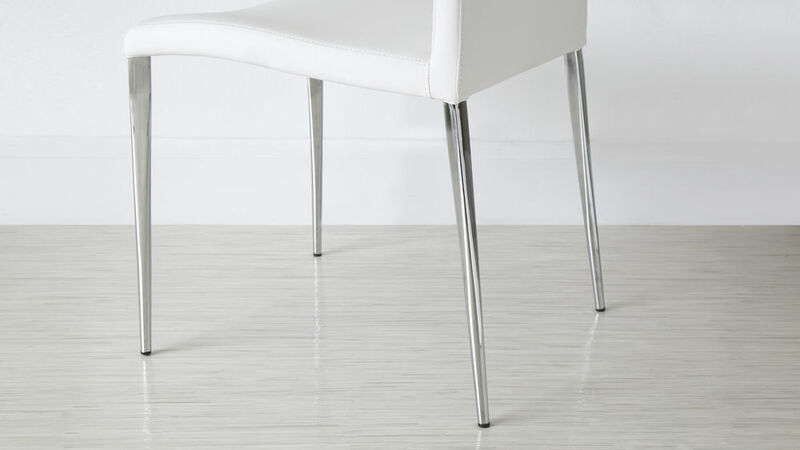 The slender, trendy legs are finished in polished chrome and are beautifully tapered to make the Elise dining chair a very elegant addition to any dining room or kitchen diner. 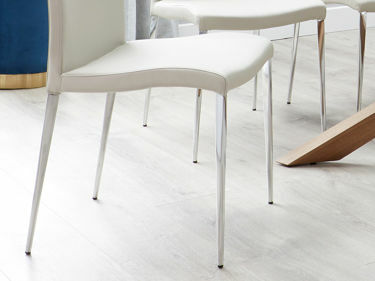 As with all our dining chairs, the Elise has floor protectors to look after your flooring and help to reduce drag noise. 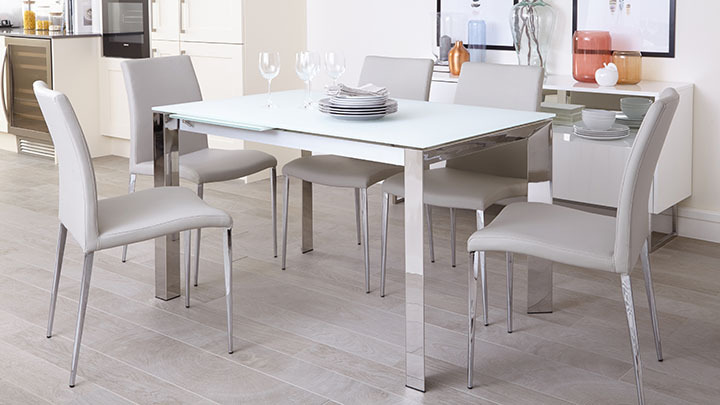 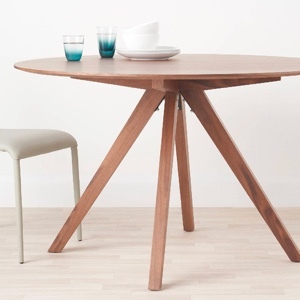 This is a very important feature when you consider how often dining chairs are tucked in and pulled out from under the dining table. 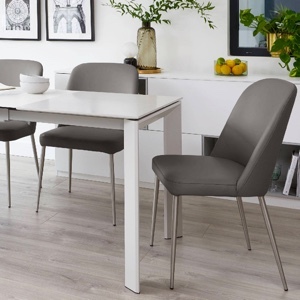 The design of the Elise Dining Chair means you can easily pair it with a wooden table, a glass and chrome table or a black or white lacquered table- they are just so versatile. 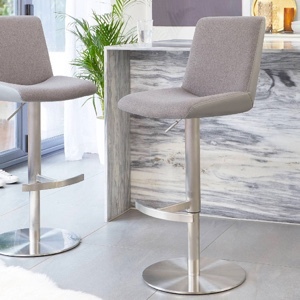 If you like the Elise style, we also have an exclusive range of Elise Bar Stools and Elise Gas Lift Bar Stools, perfect for breakfast bars and kitchen diners. 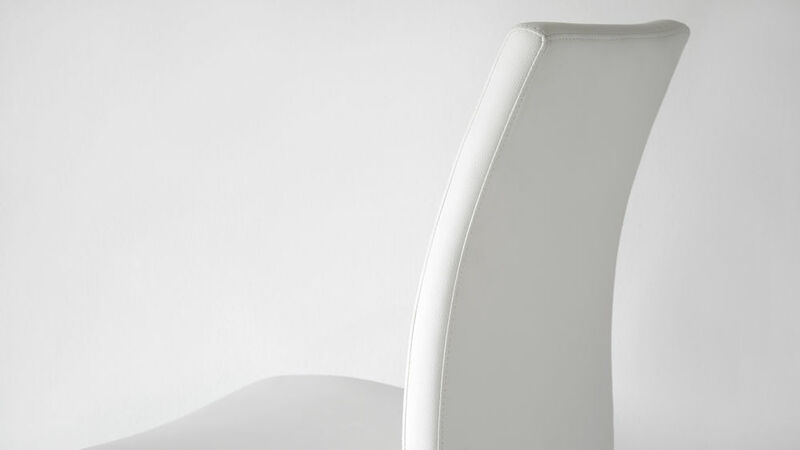 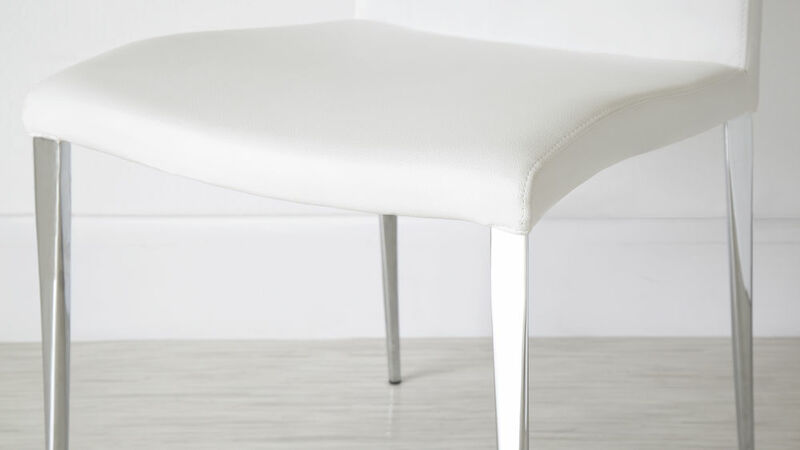 The subtle detailing and design ingenuity of the Elise is what really gives this dining chair a truly designer look. 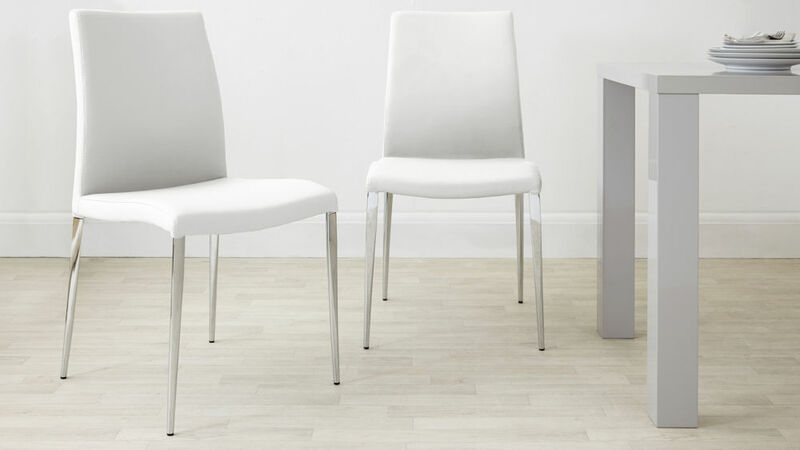 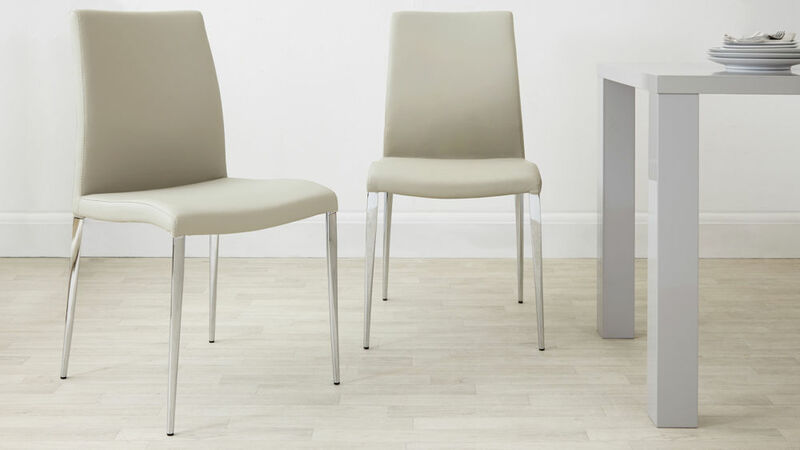 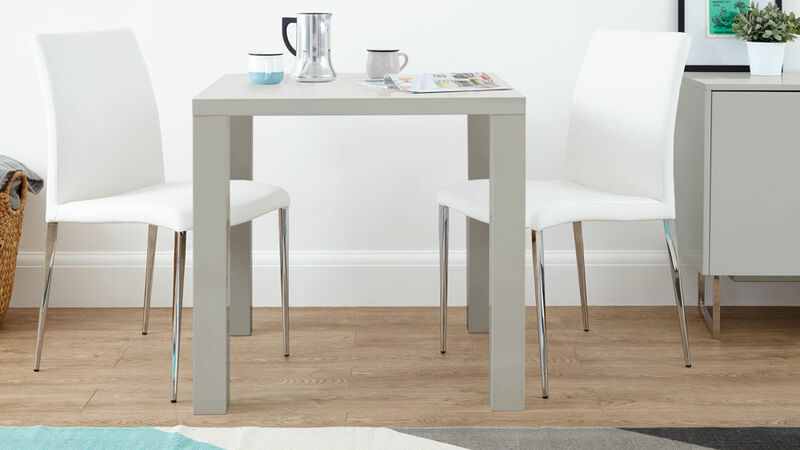 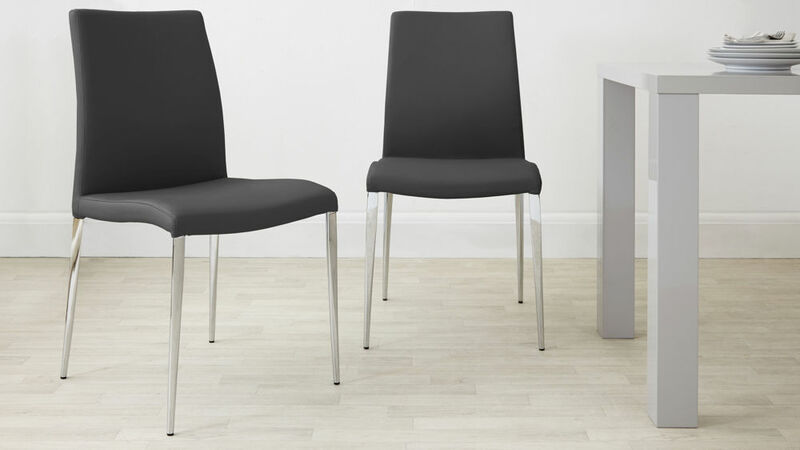 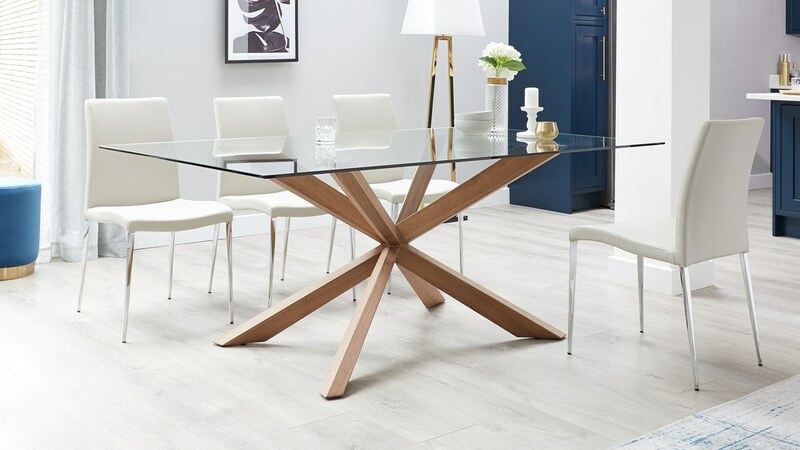 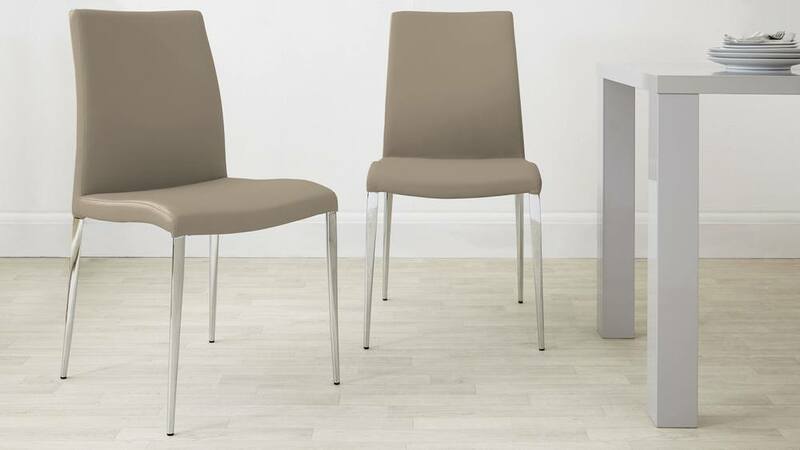 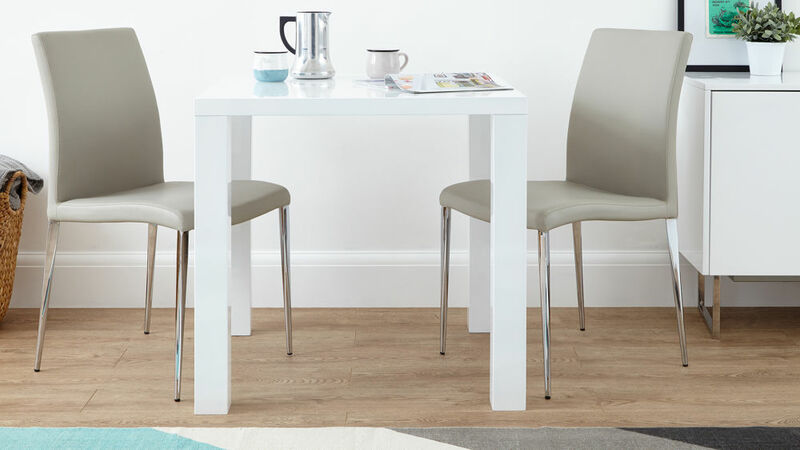 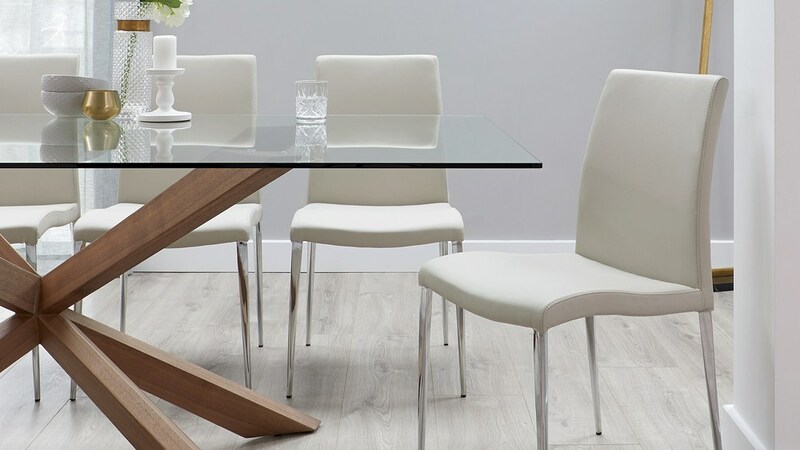 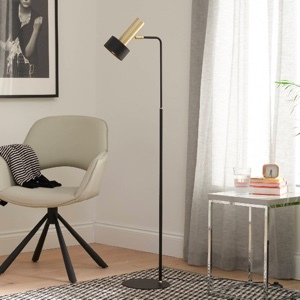 One stand out feature of the Elise is definitely the tapered chrome finished legs, as this really perfects the dining chairs slim and refined look. 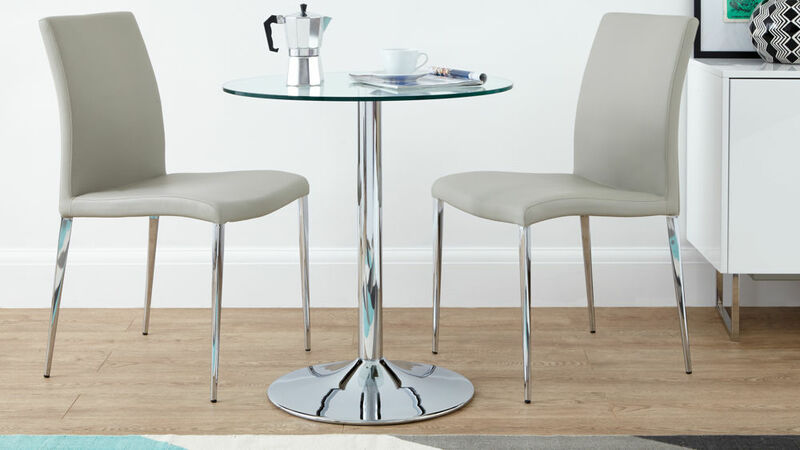 The chrome finish creates enough visual impact while the legs thin appearance keeps the chair and the area around it looking elegant, light and wonderfully spacious.